RC44 Class Association video above published Oct 1, 2017: Cascais laid on an action-packed day for the conclusion of the 2017 RC44 Championship's penultimate event, the RC44 Cascais Cup. At the beginning of it, Igor Lah's Team CEEREF held a slender lead, but lost it to Charisma. By the start of the third and final race Alexander Novoselov's Katusha was leading by two points. Despite Team CEEREF sailing an immaculate final race, a second placed finish for Katusha enabled the Russian team to win the RC44 Cascais Cup by just one point. RC44ClassAssociation video above published Sep 30, 2017: Day three of the RC44 Cascais Cup saw three more teams come to the fore for the first time. Conditions were difficult for the race committee, who ran the first race on the 'offshore course' in wind heading for the high 20s, and then had to move the race track into the Tagus estuary. Here the sea state was calmer, but an unusual offshore northerly was causing significant shifts, gusts and holes in the breeze. Vladimir Prosikhin's Team Nika has had a difficult regatta so far, having picked up four penalty points following two collisions, but today they came good winning the first race. In less boisterous conditions, today's second race was an RC44 classic, with at least three lead changes with Nico Poons' Charisma untimely taking the win. In the final race there was again a change of leader on the final run on this occasion with Artemis Racing overhauling Katusha to take the win. The RC44 Cascais Cup is the fourth event of the 2017 RC44 Championship Tour, which pits the world's top businessmen and the best sailors in the industry compete in high-performance one-design 44-foot carbon racing yachts. RC44 Class Association video above published Sep 29, 2017: Cascais turned on the conditions for which it is famous – 25 knot winds and sunshine - for day two of the RC44 Cascais Cup. RC44 Class Association video above published Sep 29, 2017: Competition out on the water today showed that it is no aberration that just two points separate the top five boats in the overall 2017 RC44 Championship. 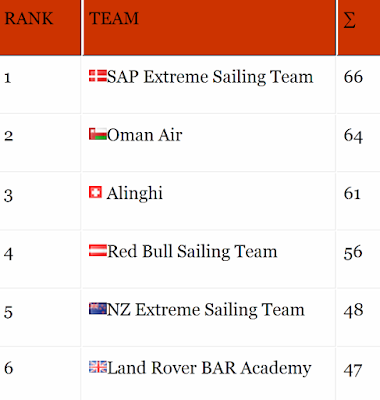 After day one the RC44 Cascais Cup leaderboard is similarly tight with just five points separating the top seven boats. Not only were there three different winners, but in each case the winner was not the leader at the first top mark rounding. October 1, 2017, LIVE from Chicago. LIVE Sep 30, 2017 video above. WMRT Chicago Match Cup 2017 | World Match Racing Tour: The World Match Racing Tour takes the Championship level season to the USA for 2017--The WMRT Chicago Match Cup runs September 27th – October 1st on the same race course used for the 2016 Louis Vuitton America’s Cup World Series Chicago just off the end of Navy Pier. As the penultimate event, Chicago will determine who qualifies for the 2017 WMRT Match Racing World Championship to be held in Shenzhen, China October 24-29, 2017. 18 Teams from around the world will be competing in Chicago including past Chicago Match Cup Winners Phil Robertson (2009), Ian Williams (2012), and Taylor Canfield (2013 & 2014). Local favourites include Chicago Yacht Club Members Sally Barkow & Taylor Canfield. Corinthian competition and camaraderie have always been the hallmarks of the Rolex New York Yacht Club Invitational Cup and the 2017 event, the fifth edition, delivered in all aspects. Southern Yacht Club was the class of the field, but every competitor for first place to last enjoyed a once-in-a-lifetime experience. Rolex World of Yachting video published Sep 18, 2017: This episode of the Rolex Spirit of Yachting film series features the action and highlights of the 2017 Rolex Fastnet Race. On 6 August, a record fleet of 362 yachts gathered off Cowes, the Isle of Wight in the United Kingdom for the world’s largest offshore race. Of the 2,700 sailors taking part in the 603-nautical-mile offshore adventure, overall victory went to French yachtsman Didier Gaudoux. It was a dream made reality for the seasoned yachtsman who had set his sights on a Rolex Fastnet trophy and the accompanying Rolex timepiece as far back as the late 1970s. The 47th edition affirmed its status as one of the most demanding offshore races, a veritable benchmark on the international yachting calendar for almost a century. Azzurra 2017 52 SUPER SERIES Champions: "Winning the final regatta of the year to become the only crew to win two events in 2017, the Roemmers family’s Azzurra which represents the Yacht Club Costa Smeralda are the new 52 SUPER SERIES champions." 52SuperSeries racing Sep 22, 2017: Day 4 of the Menorca 52 SUPER SERIES Sailing Week. 52SuperSeries video published Sep 20, 2017: It's never been THIS close. 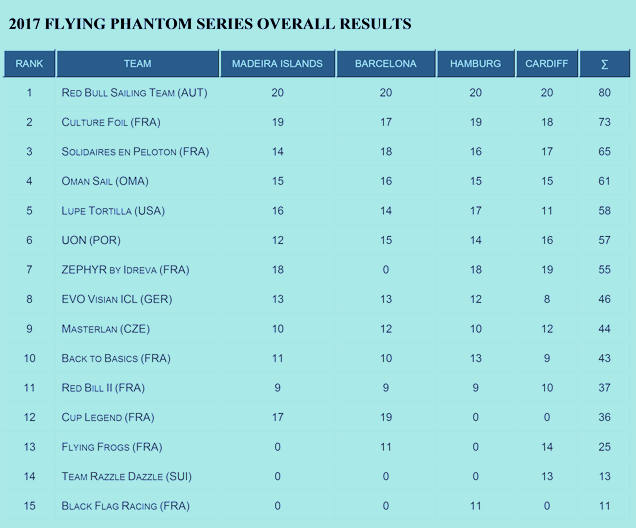 The 2017 Flying Phantom Series was back for round two in Barcelona alongside the Extreme Sailing Series™, 20 - 23 July, 2017. Video above published Jul 19, 2017. Flying Phantom Series | Extreme Sailing Series: New to 2017, the Flying Phantom Series was added to the hydro-foiling line-ups at the European Extreme Sailing Series™ Acts; Madeira Islands, Barcelona, Hamburg, and Cardiff. The two-man pocket-rocket catamarans took flight each morning, ahead of the main Extreme Sailing Series event in the afternoon, ensuring "a festival of foiling" for the fans on shore. Clipper Round the World Yacht Race video published Aug 31, 2017: On board footage and interviews detailing the successful medevac of Greenings team Skipper David Hartshorn following a serious hand injury on Day 7 of the opening Atlantic Trade Winds Leg from Liverpool to Punta del Este, Uruguay. Immense gratitude owed to the Portuguese Rescue Services, Manuel Cunha and staff at Douro Marina, Porto, and the amazing medical team at Hospital de São Sebastião. Back to School with US Sailing's Reach for STEM Education - Many people don't realize that ocean currents not only transport fish, nutrients, heat and other important natural phenomena around the planet, but they also circulate our trash! Yep, that water bottle that fell out of your boat when you capsized is halfway to Tahiti by now! Understanding how currents work, including how to measure them using drifters, allows scientists to better predict ocean circulation. In this video by Waterlust​ outlines a simple experiment you can do to measure the currents at your home. The US Sailing Reach Initiative had a unique opportunity to participate in activities hosted by the 2017 America’s Cup Endeavour Education Station, presented by Orbis, during the 35th America's Cup. US Sailing’s Reach Initiative is an official “Educational Partner” of the America’s Cup Endeavour Program. Video above published Jul 16, 2017: The spectacular J Class - Only 10 were ever built from just 20 designs and their reign lasted less than a decade. In the 1930s they were the most technically advanced yachts in the world. For 87 years they have been the epitome of the America’s Cup. Today, little has changed. And when they rolled into Bermuda, the spectacle was unique. Video above published Sep 11, 2017: Episode five of the official 2017 Extreme Sailing Series™ TV Series. A full recap of the action from Act 5, Hamburg, presented by Land Rover. The Rolex Fastnet Race, the sailor’s Everest and this year there was a bumper entry and some fiercely close racing. There was also a record turn out for the International Moth World Championships where the world’s rock stars gathered, hot foot from the America’s Cup. The beast gets launched as Gitana 17 prepares to change the future. A visit with the boat and the brains behind the project. Plus, new talent, new trophy, new events and a new record at Lendy Cowes Week. Sailing News: Next America's Cup: Foiling Monohulls? Sailing professor Mark Orams: America's Cup monohulls are "dramatic, extremely fast" - NZ Herald: "Monohulls will provide spectacular America's Cup racing to match what the catamarans provided in Bermuda, according to the sailing Professor Mark Orams. The former Team New Zealand member said the foiling monohulls were better suited to Auckland's conditions, and monohulls would see a welcome return to more traditional sailing techniques involving more crew members. It would almost certainly see an end otocycle-grinding ..." read more at link above. Government pushes for big say in next America's Cup regatta - NZ Herald: "Documents obtained by the Herald under the Official Information Act reveal the extent of strategising that took place in the days after Team New Zealand's stunning win in Bermuda to ensure the Government would have a seat at the bargaining table.Team NZ are set to reveal their plans for the next event, likely to be held in early 2021, later this month. This follows negotiations with Luna Rossa, the challenger of record." Above video: the Rolex New York Yacht Club Invitational Cup in September 2015 brought together 17 teams from 11 countries for a pure test of yachting skill. After five days of intense competition, the Royal Thames Yacht Club (UK) emerged as the overall winner, taking home the Invitational Cup trophy and a specially engraved Rolex timepiece. The teams raced on identical New York Yacht Club Swan 42 boats equipped with the same sails, rigging and equipment. This biennial regatta promotes the Corinthian spirit, the highest standard of amateur yachting, rewarding preparation, teamwork and expertise – qualities that are prized by Rolex, Title Sponsor and partner of New York Yacht Club. The Rolex New York Yacht Club Invitational Cup is hosted by the NYYC in Newport, Rhode Island in September at its Harbour Court Clubhouse. The fifth biennial Rolex New York Yacht Club Invitational Cup will be held September 9 to 16, 2017, RACE DAY 1 is Tuesday, Sept 12, 2017. Video published September 8, 2017: The 50 yachts gathered in Porto Cervo for the 28th edition of the Maxi Yacht Rolex Cup are beyond the halfway point of the event. The standings are beginning to filter the likely winners and, for a few, thoughts may be turning to the prizes on offer should they cement victory. September 8 UPDATE Maxi Yacht Rolex Cup: perfect weather and hard fought races--Winners of the day were Cannonball, Rebel, Nefertiti, Nahita, Jethou, Wohpe, Shirlaf--News - Yacht Club Costa Smeralda: "Tonight the shipowners and their guests are expected at the Rolex Gala Dinner at the Cala di Volpe hotel. Tomorrow, September 9th and Maxi Yacht Rolex Cup's final day, the program features stick races for the Maxi72 and Mini Maxi Racer classes, while all other classes will be engaged in a coastal regatta starting at 11.30 am." Video above published Sep 6, 2017: The 28th edition of the Maxi Yacht Rolex Cup got underway on Monday, 4 September. The 50 yachts gathered in Porto Cervo for this annual festival of big boat sailing pay fitting tribute to the host, organizer and founder, which celebrates its 50th anniversary this year. The Yacht Club Costa Smeralda was founded in May 1967 by H.H. the Aga Khan, Andrè Ardoin, Giuseppe Kerry Mentasti and Luigi Vietti as a non-profit making sporting association for fellow sailing enthusiasts and with a view to promoting related activities. 50 years on it has kept true to that vision and this year’s Maxi Yacht Rolex is proof positive of its success in doing so. UPDATE 7 Sep 2017: Warm weather forecast in Porto Cervo, where the Maxi Yacht Rolex Cup & Rolex Maxi72 World Championship is being held, organized by the Yacht Club Costa Smeralda with the support of the Rolex and Rolex sponsor 'International Maxi Association. The program originally provided a day off at the race committee for any recovery races. So it was for the Wally and Maxi 72 classes, coming out of the harbor today to "recover" Tuesday's races, canceled because of the bonaccia. At 11.30 the race committee has started the start-up procedures with north-west wind of about 18 knots, then steadily climbed above the 20 at the buoy, eventually increasing in the final stage of the racing with 25-knot gusts. In the Maxi 72 class, leader at the first buoy was Caol Ila R but Momo won. In the Wally Class Wallycento Galateia increased its lead on Nahita (today fifth) and Lyra (today second). Due to the steady rise in wind intensity, the Principal Race Officer, Peter Craig, sent yachts to the yacht after the first test. This evening there is a large Crew Party in the Blue Square, in front of the Clubhouse of the YCCS. The standings for the other classes remains unchanged with Ribelle (SuperMaxi), Rambler 88 (Maxi), Jethou (Maxi Racing), Supernikka (Mini Maxi RC 1), H2O (Mini Maxi RC 2). UPDATE 5 Sep 2017: Today was the second day of racing at the Maxi Yacht Rolex Cup, the event organized annually by the Yacht Club Costa Smeralda in collaboration with Title Sponsor Rolex and the International Maxi Association. 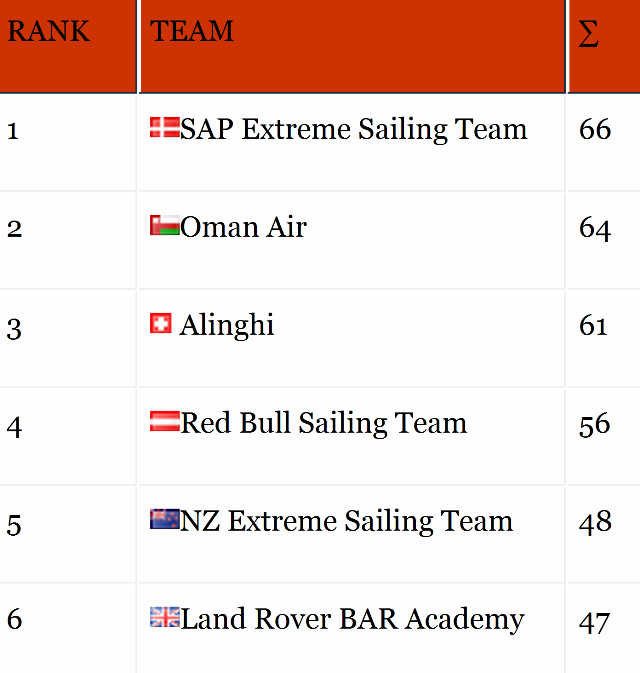 Current standings see Ribelle at the head of the Supermaxis, Highland Fling XI leading the Maxis, Jethou leading the Mini Maxi Racers, Wallyño leading the Mini Maxi Racing Cruising 1 Class and H2O the Mini Maxi Racing Cruising 2 Class. The Maxi72s and the Wallys, saw their race called off after the start, so Bella Mente and Magic Blue are both still in first place--read more here. Video above published on Aug 31, 2017: Commodore of the Yacht Club Costa Smeralda, Riccardo Bonadeo, presents the Rolex Maxi Yacht Cup, a celebrated event on the international yachting circuit. The greatest names in sailing partake year after year in this high-intensity race, aboard an ever-impressive fleet of Maxi yachts, representing the ultimate in sailing design and technology. Italy’s Costa Smeralda provided a stunning setting and a variety of challenging conditions for this highly anticipated annual regatta where class winners are awarded with Rolex timepieces, the iconic reward for excellence on the water. Video above published Aug 16, 2017: 2017 marks the 50th anniversary of the Yacht Club Costa Smeralda. One its greatest gifts to the sailing world is the Maxi Yacht Rolex Cup, which has been running since the early 1980s. A gathering of the world’s most impressive monohulls, the event offers up a week of intense battles between yachts that defy perceived boundaries of design, innovation and technology. Widely regarded as a showcase for the latest thinking, the Maxi Yacht Rolex Cup takes place on the Costa Smeralda, a stunning setting offering testing conditions. This annual event is eagerly anticipated, and attracts an awe-inspiring fleet of yachts all over 60 feet (18.29 metres) in length. 2017 marks the 28th edition of the competition, which includes the Rolex Maxi 72 World Championship, Sep 4-9, 2017. Video above published Jun 24, 2017: How can you make sailing in heavy weather or at nighttime safer and easier? Follow these ten sailing tips for safety. Also see the survival video below. Do You Know this Survival Technique? 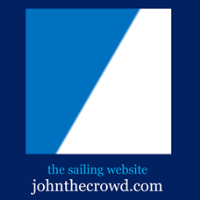 Captain John with 25+ years of experience shows you the no-nonsense cruising skills you need for safer sailing worldwide. Visit his website at https://www.skippertips.com for more boating safety and sailing basic tips. Video above published Aug 28, 2017: The Rolex Spirit of Yachting film series presents the Rolex Farr 40 World Championship 2017 - the action, highlights and memorable moments, as well as interviews with key participants. This iconic regatta has captivated the yachting community since its inception in 1998. The 20th edition, held in Porto Cervo and organized by the Yacht Club Costa Smeralda, provided the perfect stage for close racing between evenly-matched, 40-foot monohull racing yachts, helmed by skilled and competitive owners. This year’s reward – the Rolex Farr 40 World Championship trophy and a Rolex timepiece – went to Alex Roeper’s crew on the United States yacht Plenty for a third time. Video above published Jul 19, 2017: A process taking over 36,000 man hours, follow the construction of a One Design Volvo Ocean 65 racing machine from start to sailing. Team AkzoNobel will race this boat in the 2017-18 edition. Volvo Ocean Race 2017-18 begins October 22, 2017, in Alicante, Spain. Scoring will return to a high-points system. The two Southern Ocean legs – from Cape Town to Hong Kong, and Auckland to Itajaí, plus the North Atlantic leg near the end of the race, Newport to Cardiff – will all score double points. The winner of every leg will score one bonus point (9+1 bonus point for a win, 8 for second, 7 for third, etc). There will be a bonus point for the first team to round Cape Horn in a nod to the historic significance of this turning point in the race. A further bonus point will be awarded for the team with the best total elapsed time overall in the race. The In-Port Series won’t count in the overall points but will remain the tiebreaker should teams be tied on points at the finish in The Hague.